Choon King heads the Corporate Shipping & Finance team in Rajah & Tann Singapore LLP. He has spent his entire legal career spanning more than 2 decades in the shipping arena. He started his career handling a wide range of wet and dry shipping litigation work for several years, before being tasked to start up a corporate shipping department. Over the course of a dozen years, he has built a reputable team which “punches above its weight” (Legal 500, 2017 edition) and is recognised as “an outstanding market leader for ship finance” (Asialaw Profiles, 2017 edition). Over the last decade, Choon King’s work has consistently been recognised in numerous leading legal publications, including Legal 500, Chambers Global/Asia Pacific, Asialaw Profiles and International Financial Law Review 1000. He is described by Legal 500 (2017 edition) as “incisive and tirelessly determined”, and Chambers Asia Pacific (2017 edition) lauded him as an “outstanding lawyer who is vastly experienced and who combines a sharp legal mind with a keen appreciation of the commercial considerations”. 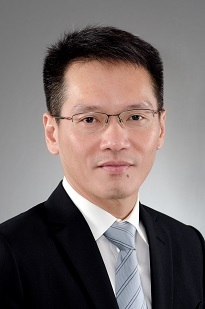 Chambers Asia Pacific (2016 edition) quoted clients as saying that Choon King “delivers excellent work under extreme time pressure” and other clients have commented that his “20 plus years of experience and his shipping litigation background give him a clear advantage when handling deals, allowing him to focus on critical issues, to anticipate potential difficulties and offer effective solutions”. Choon King is regularly involved in ship sale and purchase, sale & lease-back arrangements and loan transactions (bilateral as well as syndicated). He has acted for a plethora of ship financing banks over the years, including the Singapore banks DBS Bank, UOB and OCBC, and foreign banks such as Nordea Bank, HSBC, DVB Bank, BNP, Fortis Bank, ING Bank, Sumitomo Mitsui Banking Corporation, HSH Nordbank, Citibank Japan, Calyon, Société Générale, etc. He also focuses on other corporate/transactional aspects of shipping and handles the whole range of corporate work required by shipping companies, from solvent restructuring, general corporate transactions (JVs, M&As, etc), fund raising, port/terminal development projects and berth/terminal leasing contracts. With the recent spate of insolvencies in the shipping/oil & gas sectors, he has been actively involved in insolvency/restructuring work in relation to shipping companies (such as Swiber, Pacific Richfield Marine and Searights Maritime Services). Given his unique blend of experience in both contentious and non-contentious shipping matters, he is well positioned to draft and advise on other shipping documentation such as shipbuilding and ship repair contracts, charterparties and bills of lading. Choon King has also acted in a significant number of structured trade, inventory and warehouse financing transactions involving various security instruments and collateral management agreements. DBS Bank, the lender in Miclyn Express Offshore Limited’s US$315 million term loan and RCF secured by a fleet of about 100 vessels flagged across 5 jurisdictions (Panama, Indonesia, Malaysia, Australia and Singapore). The vessels also served to secure S$200 million senior secured guaranteed bonds issued by Manta 2 Holdings Limited in connection with the delisting of Miclyn Express Offshore Limited from the Australian stock exchange, which transaction was undertaken in tandem with the US$315 million facility. The transaction required extensive coordination with several sets of legal counsels in multiple jurisdictions. Citibank Japan, Calyon, Société Générale and Fortis Bank in a US$175 million facility (backed by a NEXI guarantee) granted to PetroVietnam Transportation Corporation to finance the acquisition of tankers for shipping petroleum products at the Dung Quat Oil Refinery in Vietnam. A French bank, acting as agent and security trustee on behalf of a syndicate of lenders including Fortis Bank, ING Bank, the Bank of Nova Scotia Asia Limited and HSBC in a US$288 million syndicated loan facility to a shipping trust listed in Singapore for the acquisition of 5 container vessels. DBS Bank in a US$250 million loan to Kreuz Subsea Group in a refinancing transaction following the acquisition of Kreuz Holdings Limited from the Swiber Group. The matter involved an extensive security package including a charge over shares owned by a Cayman Islands company, fixed and floating charges over the assets of 7 companies incorporated in Singapore, Malaysia and Brunei and mortgages over several vessels flagged in Panama and the Bahamas. OCBC Bank in their US$155 million financing granted to a Joint Venture involving a subsidiary of a Singapore listed company for the acquisition of 2 rigs from GSP Group of Romania for long term charter to PEMEX of Mexico. The transaction involved acquisition of shares of the Maltese rig owning companies and payment of consideration for acquisition of receivables from related companies. DBS Bank in financing the acquisition by Titan Orient Lines Pte Ltd (part of the Titan Petrochemicals Group listed in Hong Kong) of Neptune Associated Shipping Pte Ltd (a subsidiary of NOL) and the concurrent purchase and on-sale by Titan Oil Pte Ltd of 2 MR tankers from the Sumitomo Group. The transaction involved over 20 vessels, with a total transaction value of over US$100 million. Nordea Bank as arranger, agent and bookrunner in a US$115 million senior secured credit facility granted to a Singapore entity for financing the construction/acquisition costs of a diving support vessel, a survey vessel and a multipurpose support vessel. Maybank Singapore in their US$150 million financing of the 750 pax DP3 semi-submersible accommodation vessel “POSH Arcadia”, owned by Singapore-listed PACC Offshore Services Holdings Ltd. The vessel won a contract to support Royal Dutch Shell plc’s Prelude floating liquefied natural gas facility in Western Australia. HSH Nordbank in a loan granted to a subsidiary of a Singapore listed company to finance the acquisition of 4 vessels flagged in the Marshall Islands. The matter involved extensive coordination with multiple parties and counsels across different time zones (including lawyers from Mexico, Norway, Marshall Islands and Singapore). DVB Bank in a US$70 million syndicated loan to a Norwegian holding company in connection with the acquisition of 3 oil rigs registered under the ownership of a Singapore subsidiary of the borrower. DBS Bank in relation to banking facilities totalling US$255 million granted to a Singapore listed company to finance the construction of 16 vessels by the borrower and the borrower’s working capital needs. Security included mortgages over the borrower’s office property and its vessels. A Singapore borrower in a transaction with Korea Ship Finance involving a sale-and-lease-back of vessels together with the acquisition of several other collateral vessels worth over US$80 million. The transaction involved a wide range of transaction documents, including bareboat charters, charter guarantees, subordination deeds, ship mortgages and assignments. UOB Bank in a loan to a Singapore listed company to finance the acquisition of a pipe-lay/accommodation work barge for deployment in Mexico. The matter involved an extensive analysis of the applicable laws in Mexico with regard to flagging of vessels and the appropriate security package for the financier. HSH Nordbank in relation to its US$295 million loan to Omega Enterprises Inc at the time of its dual listing on NASDAQ and SGX. A syndicate of lenders including ING Bank, Nordea Bank and Fortis Bank for a loan in excess of US$300 million involving some 15 borrowers. The loan was granted for refinancing existing shipping loans and for financing the acquisition of 2 newbuildings. A Singapore listed investment holding company in relation to a US$290 million syndicated term loan to re-finance existing bridging financing obtained in relation to the acquisition of 2 offshore drilling ships. The Royal Bank of Scotland, Australian Branch in a US$70 million facility to finance the upgrading costs of a vessel. A Mauritius subsidiary of a Singapore listed company in a US$225 million investment in an on-shore modular oil processing facility in Alaska. The matter involved a complex suite of documents relating to debt funding from a local bank, joint investments by the Alaska Industrial Development & Export Authority, the purchase of working interests in certain oil fields in Alaska and leases of the oil-processing facility to an independent oil company in Alaska. Scomi Group in its acquisition of the core marine logistics assets and businesses of Chuan Hup Holdings and Chuan Hup’s shares in CH Offshore Limited and PT Rig Tenders Indonesia. Total purchase consideration was in excess of US$550 million. The transaction involved over 70 vessels owned by Chuan Hup and its subsidiaries. A Singapore port operator in respect of a joint venture project with a major French liner for the development of port facilities in Singapore with dedicated berthing and container yard facilities. Wan Hai Lines in connection with its fund raising exercise by way of issuance of Guaranteed Bonds. The North of England P&I Club in setting up its representative office and subsequently its Singapore Branch. A major Israeli shipowner regarding tax and related corporate and regulatory issues relating to the setting up of its operational headquarters in Singapore. Various subsidiaries of the Li & Fung Group in Hong Kong in relation to various inventory management and logistics and distribution contracts. Titan Oil Pte Ltd in connection with its issuance of Exchangeable Notes (exchangeable for shares in a listed entity) which raised US$50 million. DBS Bank who was financial advisor to Pacific International Lines (Private) Limited for their acquisition of the listed units in Pacific Shipping Trust under the voluntary delisting of Pacific Shipping Trust from SGX. Ichthys LNG on various issues relating to the establishment of a Singapore corporate presence and various considerations relating to the trading of LNG in Singapore. Titan Petrochemicals Group in its capital markets fund raising exercise by way of issuance of Guaranteed Senior Notes which raised US$400 million. Yamal LNG on choice of jurisdiction issues and establishment of a corporate entity in Singapore and advising on trading restrictions. UOB in a US$150 million trade facility granted to a major oil trader and shipowner. Several banks including ABN AMRO, Commerzbank, HSBC, DBS Bank and UOB in a series of bilateral loans granted to a major steel trader for import and inventory financing in connection with collateral management agreements. UOB in loan and security documentation in multiple jurisdictions in respect of import and inventory financing, involving oil cargoes to be imported and/or stored in Taiwan. UOB in loan and security documentation in respect of trade facilities granted to various borrowers in connection with collateral management agreements, involving zinc concentrates and zinc oxide in China, coal in Indonesia, etc. DBS Bank in connection with the Scheme of Arrangement proposed by Pacific Richfield Marine, and the orderly sale of 7 vessels as part of the fleet size rationalisation exercise by Pacific Richfield Marine, yielding total proceeds of over US$75 million. The buyers and financiers of a fleet of 15 vessels owned by Searights Maritime Services Group. Receivers had been appointed for the Group and several claims had been lodged in the Singapore High Court in respect of various vessels, with one vessel having been arrested and several being subject to possessory liens exerted by shipyards. The case necessitated the whole spectrum of shipping and admiralty expertise (to advise clients on the effects of maritime and possessory liens, priority as between various claims, effect of change of ownership, handling of vessels under arrest, etc.) as well as transactional expertise to conclude the sale of the vessels within an expedited time frame. UOB and HSH Nordbank in various proceedings arising from the insolvency of Swiber Group.